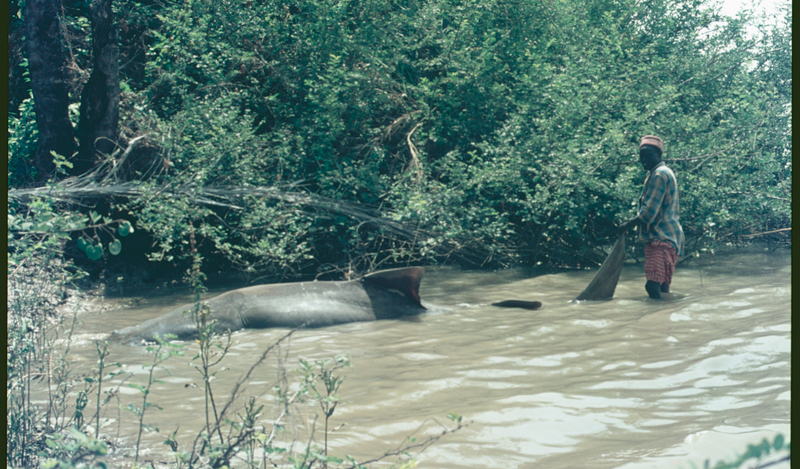 The Casamance River in Senegal was an important habitat for the now critically endangered smalltooth sawfish. Data collected in the 1970s show that this species was common in the river, at least during the months between June and November. It also appears that smalltooth sawfish spent their first year or two in the river, and then returned to the river mouth as adults. Forty years after these data were first collected, it seems there is no clear evidence of these animals in the region anymore. However, the results of this historical survey, published this month in Aquatic Conservation: Marine and Freshwater Systems, can help focus conservation efforts and point to key areas in Senegal that need investigation. 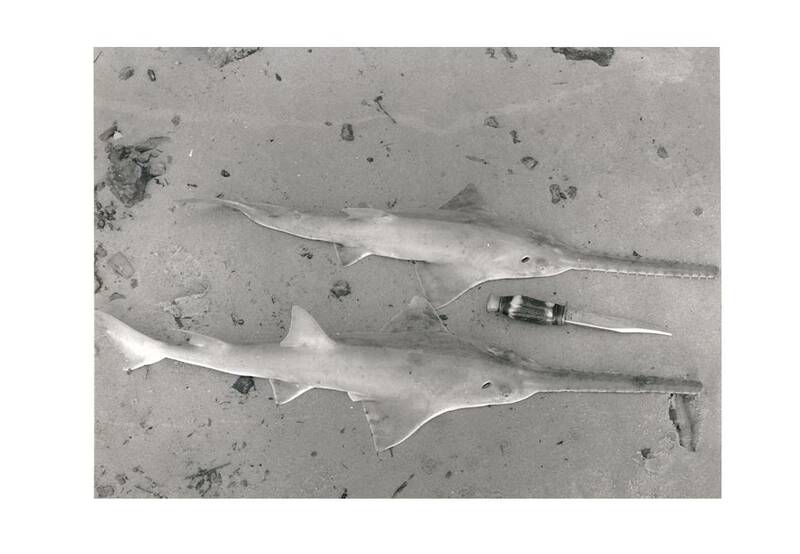 Neonates (newborn sawfishes) with their rostra still covered in rostral sheaths (a membrane covering the teeth of the rostrum, found in newborns and generally shed two weeks after birth) were found near the river mouth. This suggests that sawfish were being born near the Casamance river mouth in the 1970s. Adult smalltooth sawfish were only caught at the river mouth. This finding, together with the discovery of the newborns, suggests that adults might have returned to the Casasamance river mouth to breed. On average, smalltooth sawfish rostra had 49 teeth, which is much lower than the number of teeth on smalltooth sawfish rostra from the western Atlantic. This suggests that there might be differences between smalltooth sawfishes found on opposite sides of the Atlantic. 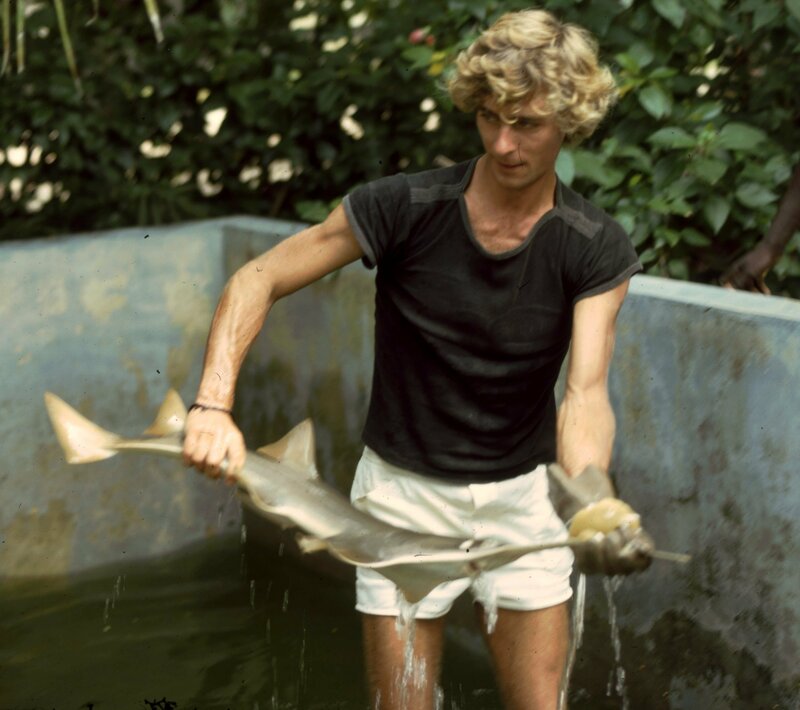 When Nigel Downing was looking for sawfishes in the Casamance, he also searched the neighbouring Gambia River (read the paper). No largetooth sawfish were found in the Casamance River, but they were common in the Gambia River. Only one largetooth sawfish was found in Senegalese waters during the survey, at the mouth of the Casamance estuary. The adult male, caught by a fisherman, had already been cut into pieces and was reconstructed to measure its length. Largetooth and smalltooth sawfishes are found in the same region, but they don’t overlap in their use of these rivers, even though the Casamance River is only 120 km away from the Gambia River. The authors suggest that rising fishing pressure in Senegal since the 1970s is most likely responsible for the decline in sawfishes from the eastern Atlantic. They report that artisinal fishing effort in West Africa has increased tenfold between 1950 and 2010! When Nigel Downing started working in the Senegambian region, fishermen weren’t targeting sawfish. However, a rise in the demand for shark fins during the 1980s and 1990s might have changed this, with shark catches rocketing in value and sawfishes becoming among the most prized in the industry. What’s the use of looking back in time, and publishing these results now? There have been no verified reports of sawfish sightings in Senegalese waters, but the authors of this paper say that it is possible that search efforts haven’t been directed where sawfish might still be found. These historical data are hugely important to guide any future search efforts. At best, smalltooth sawfish are likely very rare in the region now, and conservation action would need to be swift and efficient. In regions where research is made more difficult by a lack of infrastructure, and in the absence of long-term monitoring programmes and up-to-date information, this survey can help focus the search on some key areas. Look out for the full story of Nigel Downing’s PhD in the upcoming digital edition of the Save our Seas Foundation magazine! Reference: Downing, N., & Leeney, R. H. 2018. Smalltooth sawfish (Pristis pectinata Latham, 1794) in the Casamance River, Senegal: A historical perspective. Aquatic Conservation: Marine and Freshwater Ecosystems.